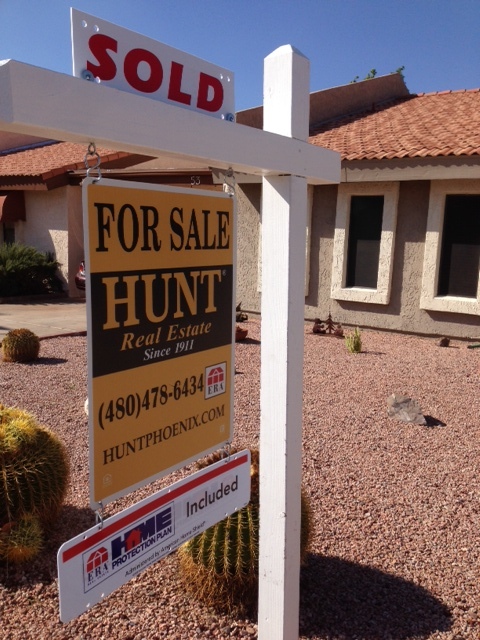 2329 N. Recker Road, Mesa, AZ, 85215. Sale of this wonderful home is COMPLETE (September 2014). Buyer is protected by American Home Shield Home Warranty during listing period (ONLY) for FREE! 2329 N Recker Road #52, Mesa, AZ, 85215. 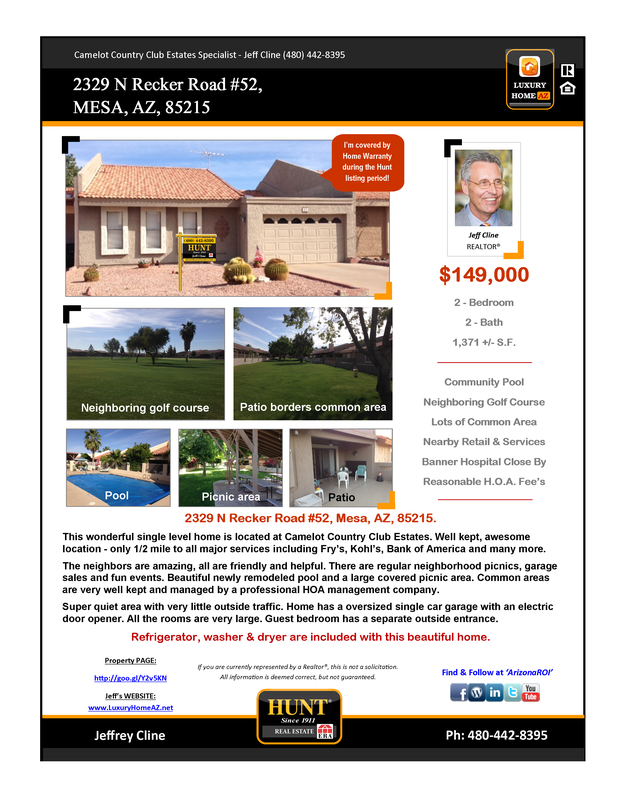 This wonderful single level home is located at Camelot Country Club Estates. Well kept, awesome location – only 1/2 mile to all major services including Fry’s, Kohl’s, Bank of America and many more. The neighbors are amazing, all are friendly and helpful. There are regular neighborhood picnics, garage sales and fun events. Beautiful newly remodeled pool and a large covered picnic area. Common areas are very well kept and managed by a professional HOA management company. Super quiet area with very little outside traffic. Home has a oversized single car garage with an electric door opener. All the rooms are very large. Guest bedroom has a separate outside entrance. Refrigerator, washer & dryer are included with this beautiful home! View the Listing Slide Show at the bottom of this page. 2329 N Recker Road #52 is listed with a PREMIUM LISTING BUNDLE. 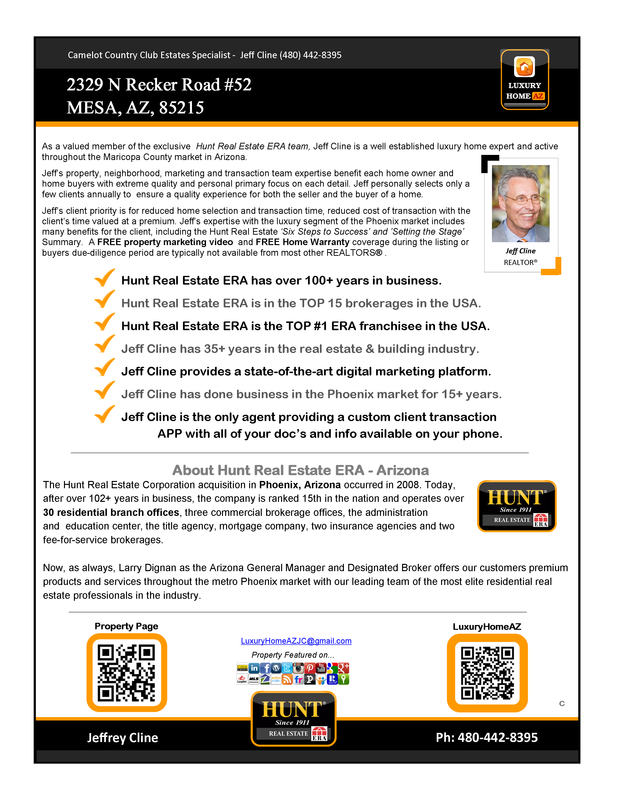 Or call Jeff Cline at 480-442-8395.